Have you been looking for a capable crossover SUV in Bloomingdale or Glendale Heights with available all-wheel drive and the space you need to carry passengers and cargo alike? The 2016 Chevrolet Equinox and 2016 Chevrolet Traverse both fit the bill, delivering plenty of fun and performance to boot. However, there are some important differences to consider based on your personal lifestyle, needs, and budget. Take a closer look at both models before coming to Sunrise Chevrolet for a test drive! With so many expenses in day-to-day life, price is often one of the first considerations for folks looking for the right family SUV. Both of these models come accessibly priced for their respective segments, but it’s important to note the difference. You’re looking for a crossover SUV, so it’s clear that you prize some room to stretch out and haul cargo. With both the 2016 Chevrolet Equinox and the 2016 Chevrolet Traverse, it all comes down to personal needs. 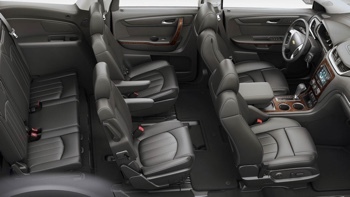 The Traverse provides seating for up to eight passengers, 24.4 cubic feet behind the back seats, and a maximum cargo volume of 116.3 cubic feet. On the other hand, the Equinox provides seating for up to five passengers 31.5 cubic feet behind the rears seats, and a maximum cargo volume of 63.7 cubic feet. The 2016 Chevrolet Traverse comes standard with a 3.6L V6 engine that puts out an impressive 281 hp and 266 lb-ft of torque, while those numbers jump to 288 hp and 270 lb-ft of torque with the available dual exhaust tips on the LTZ. When equipped properly, the Traverse can tow up to 5,200 pounds. Fuel economy reaches an EPA-estimated 24 mpg highway and 17 mpg city. The 2016 Chevrolet Equinox, on the other hand, comes standard with a 2.4L four-cylinder engine that makes 182 hp, 172 lb-ft of torque, and can hit up to 32 mpg highway and 22 mpg city, according to the EPA. There’s also a 3.6L V6 engine available on the Equinox, which puts out slightly higher performance figures than the Traverse at 301 hp and 272 lb-ft of torque, though fuel economy is identical at up to and EPA-estimated 24 mpg highway and 17 mpg city. Maximum towing is lower at 1,500 pounds with the four-cylinder or 3,500 pounds with the V6. Which of These Crossovers Best Suit Your Needs? If you have a large family or a lifestyle that demands plenty of passenger and cargo room, then the 2016 Chevrolet Traverse might be the right choice for you thanks to its three rows of seating and enormous cargo volume. Also, if you’re going on big family vacations and hauling a boat or trailer, the Chevrolet Traverse proves noticeably more capable. On the other hand, if you think that you only need room for five adult passengers to sit comfortably and more standard room for storage behind the rear seats, the 2016 Chevrolet Equinox’s small crossover setup might be your best bet. 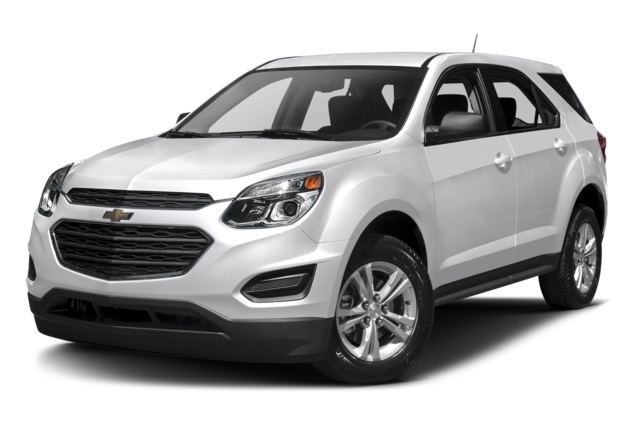 It’s also always important to consider price if you’re living on a budget, and here again, the Chevrolet Equinox proves the more practical pick, with a lower starting price and noticeably better fuel economy. Ultimately, it comes down to how you feel when you step inside a vehicle. When you set up a test drive at Sunrise Chevrolet, you’ll be able to get a look at how much space there is for back seat passengers and cargo, and experience how it drives. 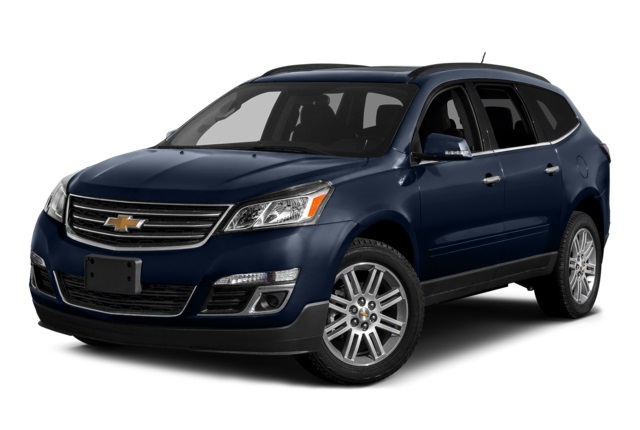 You can test both the 2016 Chevrolet Equinox and the 2016 Chevrolet Traverse right now when you visit us at 414 E. North Ave. in Glendale Heights, IL. We’re open Monday through Saturday, and you can contact us at (630) 487-3347.